Among the 25 extraordinary Maricopa Community College students honored for their distinguished achievements and leadership at the 2016 All-Arizona (ALL-AZ) Academic Awards Luncheon on March 3, 2016, were Rio Salado scholars Shawna Daniels and Vanessa Williams. Each year, participating colleges nominate two of their most distinguished students to receive the ALL-AZ honor, which includes tuition to one of Arizona’s three state universities and a cash scholarship. Daniels and Williams were selected as Rio’s 2016 honorees for their academic excellence, community leadership and personal determination. 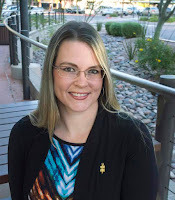 Shawna Daniels is a working mom who lives in Payson, Arizona, with her husband and their children. “Being a busy mom of three, I would never have thought I would have the time to complete my college degree and help my community in the ways that I have this year,” said Daniels. Parenthood came with more challenges than the young couple expected. 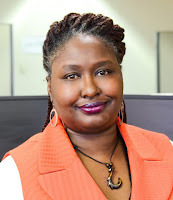 After getting through the early childhood years, Daniels realized it was time to invest in herself to create the financial future she wanted for her family. 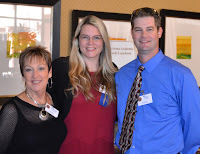 In addition to being a member of Rio Salado’s Phi Theta Kappa (PTK) honor society, Daniels engaged in several community service projects including volunteer work for the Rotary Club of Payson and Rim Country Regional Chamber of Commerce. She also organized a charity golf tournament that raised approximately $7,500 for Payson charities. Daniels plans to attend Northern Arizona University (NAU) with the ALL-AZ scholarship and is working toward becoming a certified public accountant. Vanessa Williams also knows a thing or two about life changing events. 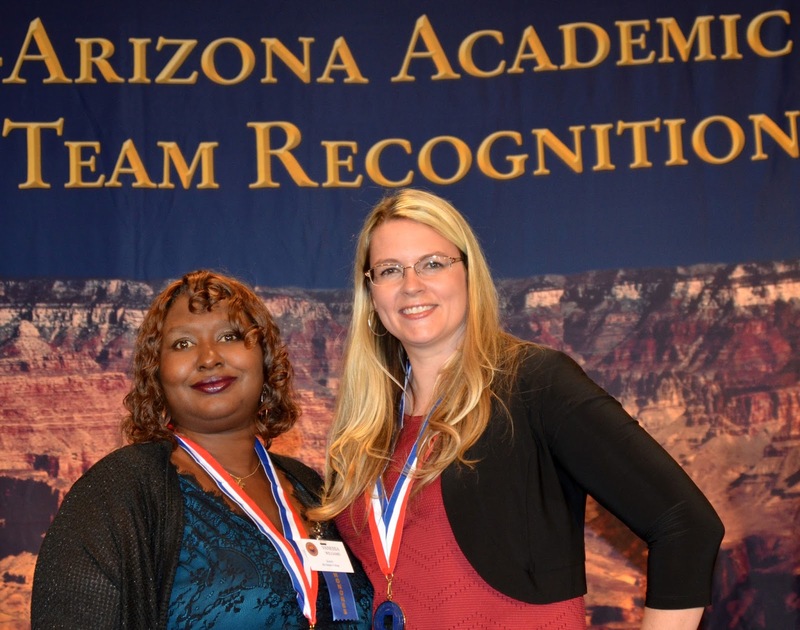 The Rio Salado student is both honored and humbled to be recognized at the ALL-AZ awards. But everything changed six years ago when Williams took a training class to become a peer support specialist. “A peer support specialist assists people who are recovering with mental illness or drug addiction,” Williams said. After working part time for a year at Warm Line, a peer-run support line, Williams was promoted to supervisor. Williams chose to attend Rio Salado College, and quickly found an aptitude for leadership and service. 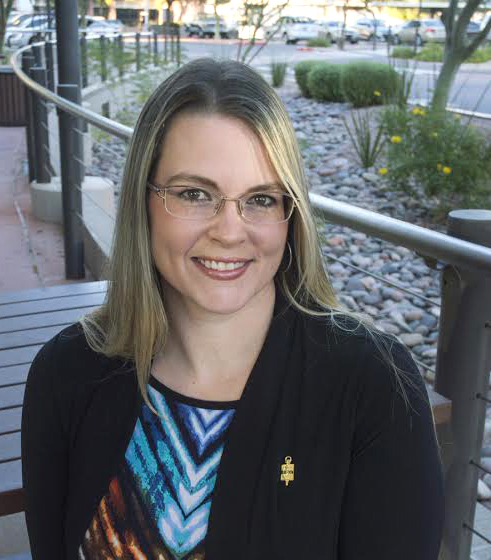 As president of Rio Salado’s PTK chapter, and vice-president of the National Society of Leadership and Success chapter, Williams invested her time to champion behavioral health issues and to advocate for people who are homeless. Williams plans on attending NAU this fall to pursue a bachelor’s degree in business administration. 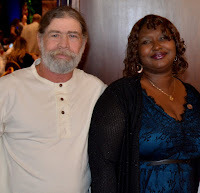 Her dream is to start a non-profit organization that assists in the professional development of people who have been diagnosed with behavioral health issues.